Since 1928, the Olympic Flame has been the foremost symbol that brings together the ancient and modern Games. 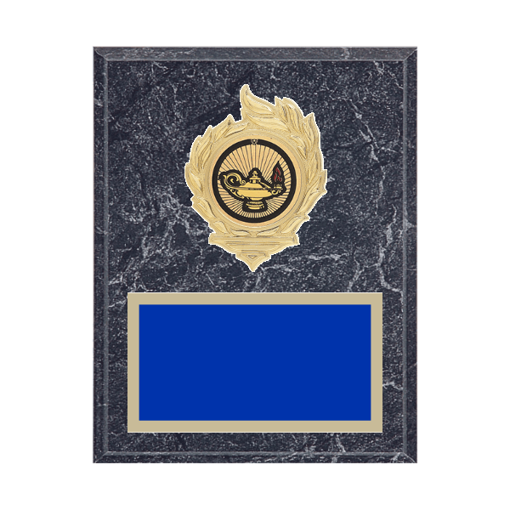 Our Flame Series Engraved Education Plaque, with a stunning flame medallion holder, helps to create the unique design of this Education Plaque - and now you can create your own by choosing any Education Insert, plaque board and engraving plate color to create your own exclusive design. FAST (like an Olympic Athlete) production and FREE engraving make it a winner!